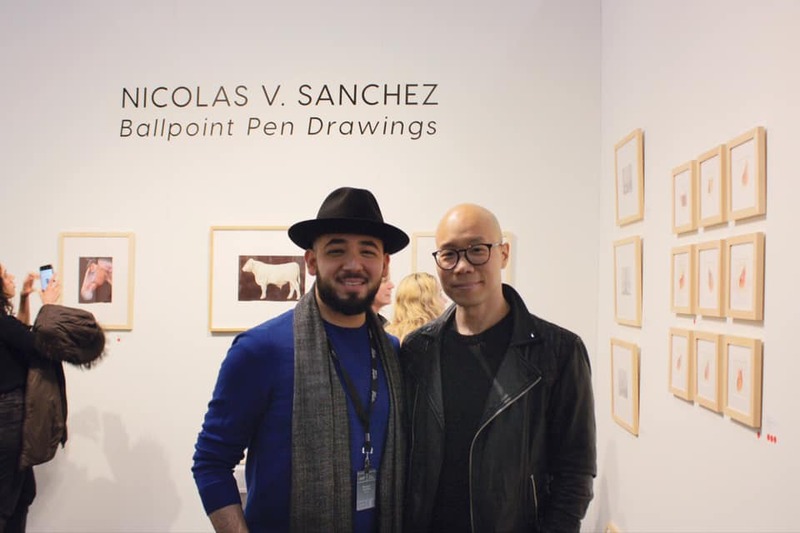 Sugarlift's solo booth for Nicolas V. Sanchez at the Art on Paper fair featured his exquisite ballpoint pen drawings. 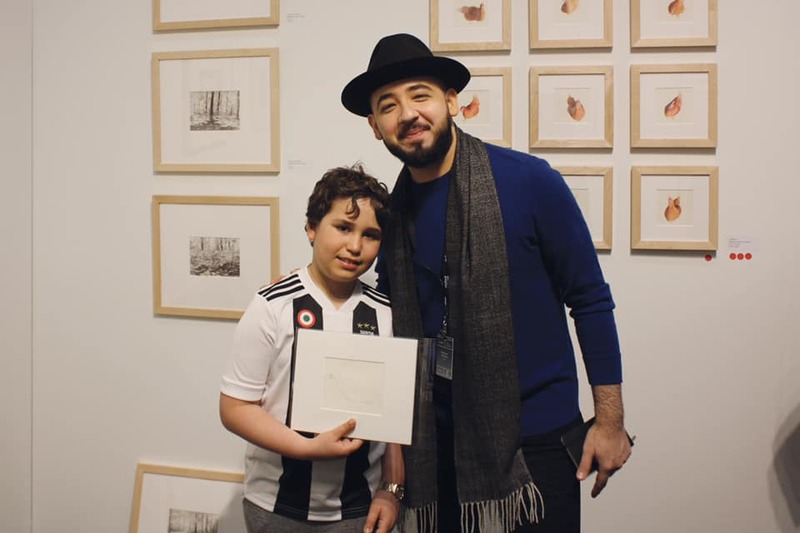 Sanchez with a first time collector. 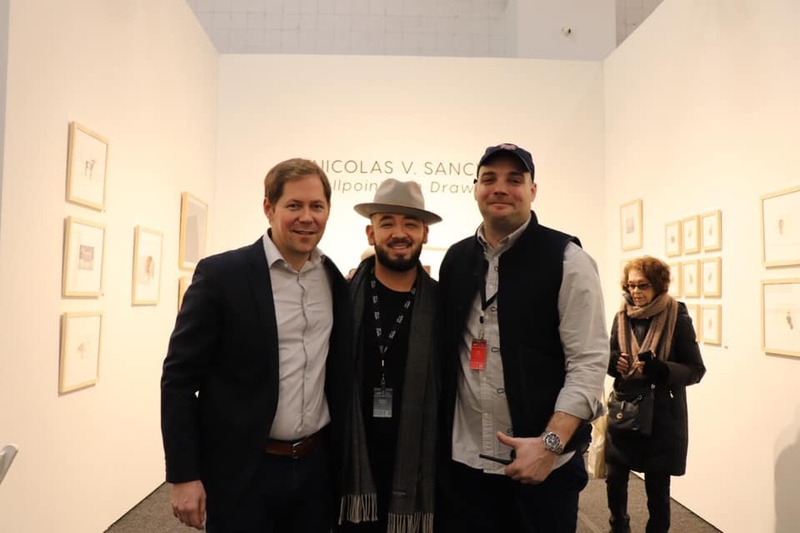 What a treat to present Nicolas V Sanchez at the Art on Paper fair in early March. 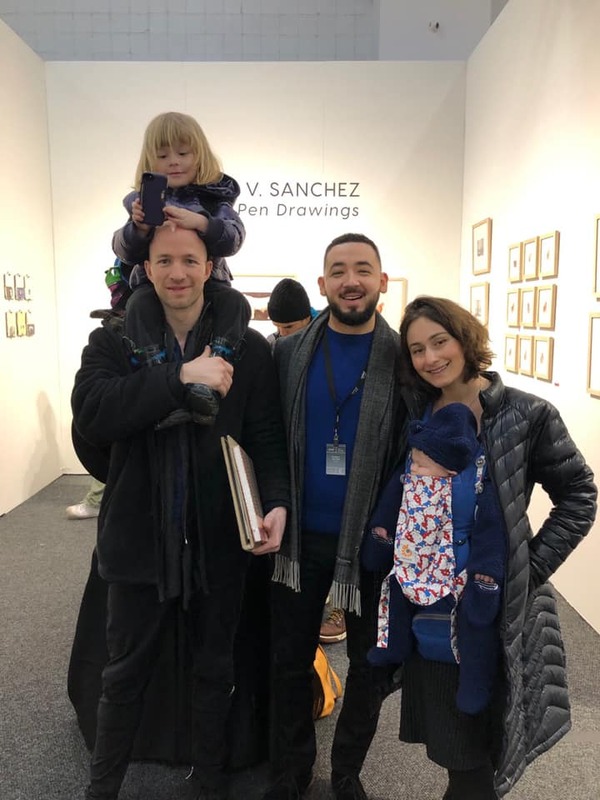 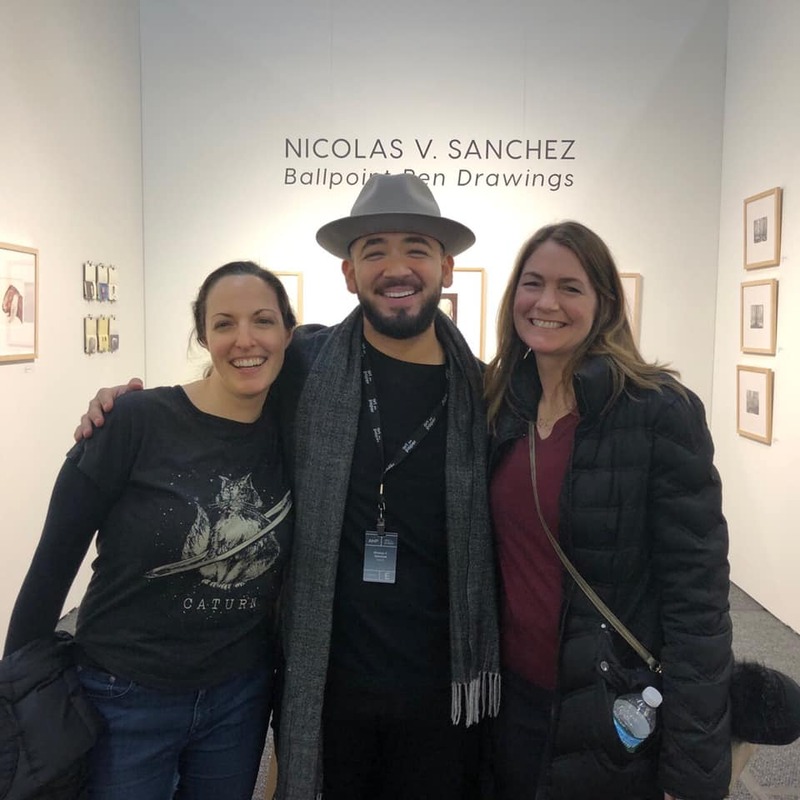 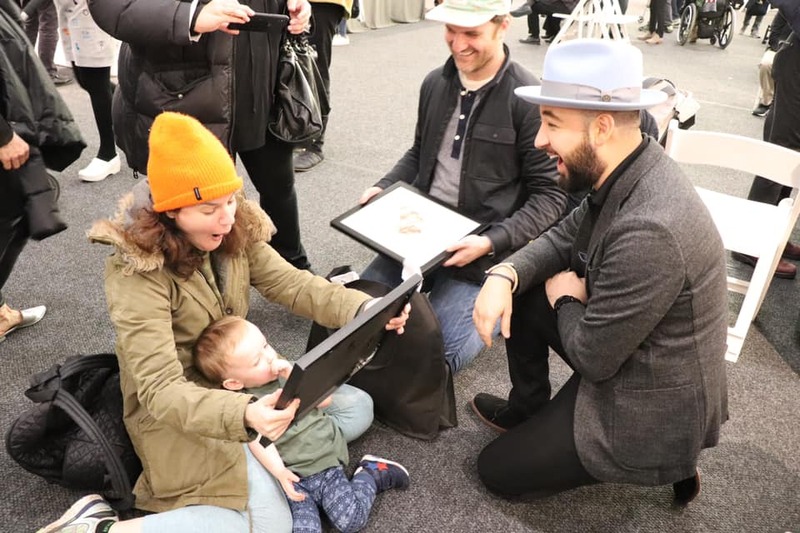 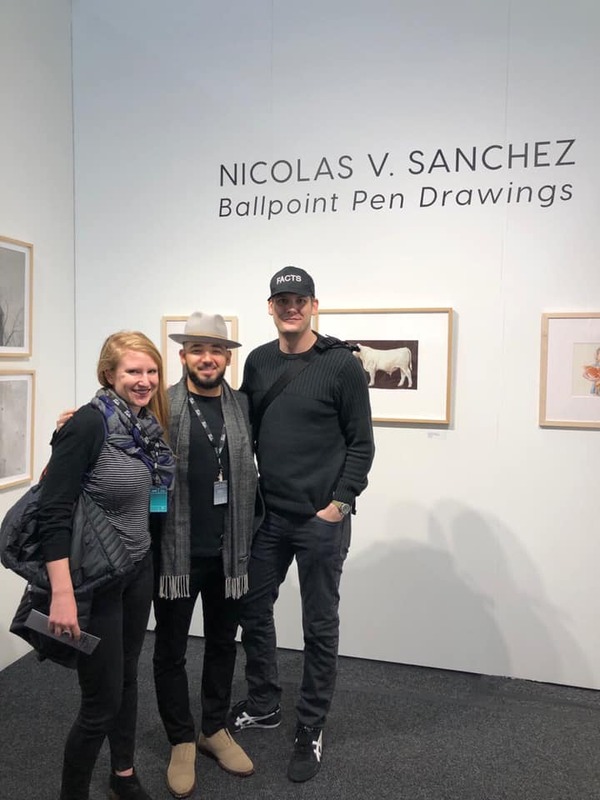 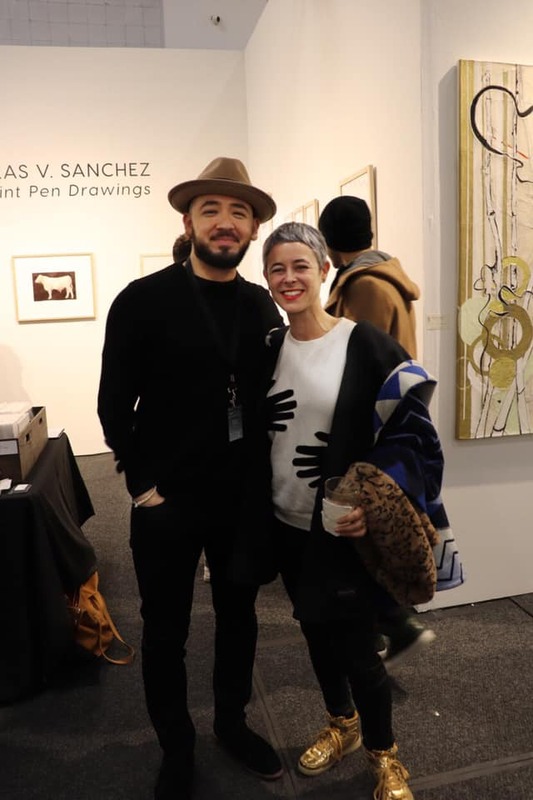 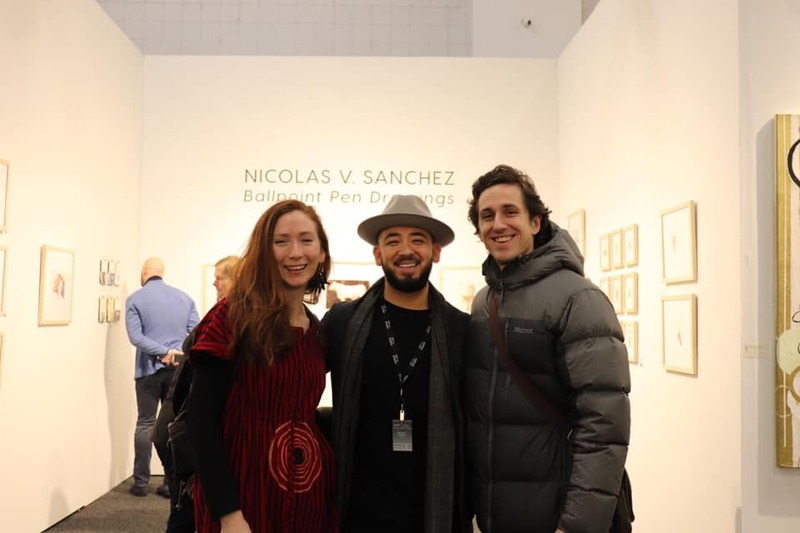 Between tiny intricate drawings of his niece's chickens (Peep, Hilda, Ash and Becky) and over 100 line drawings, Sanchez presented a piece of himself in the booth over the weekend. 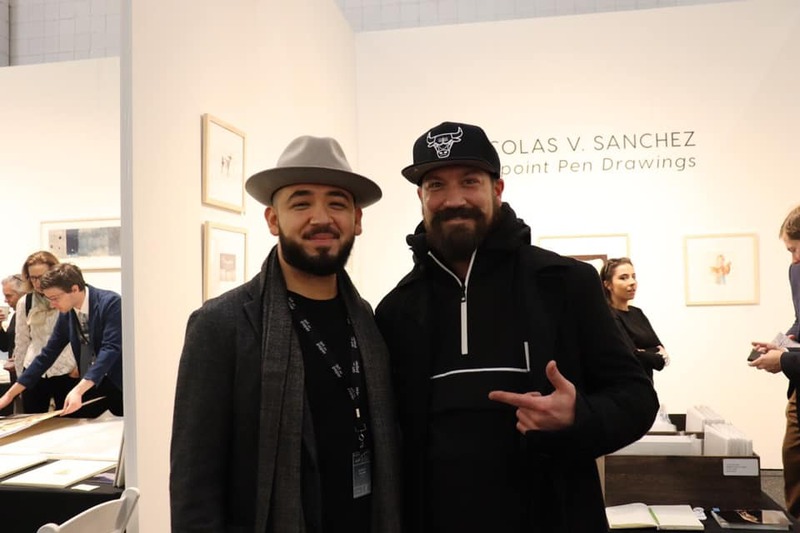 We had a fantastic time meeting friends and fans from all over the world. 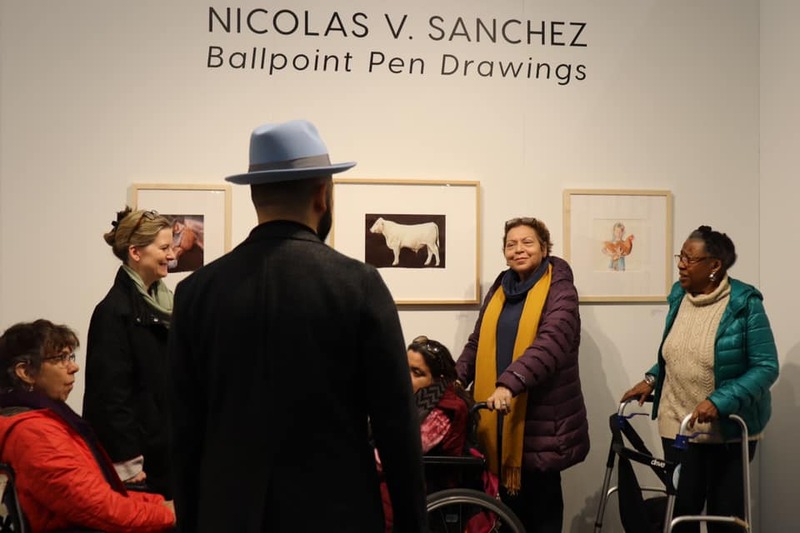 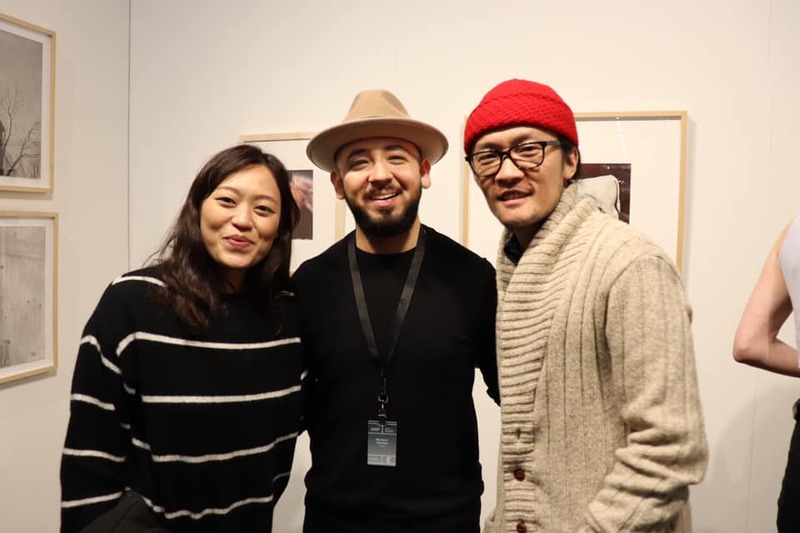 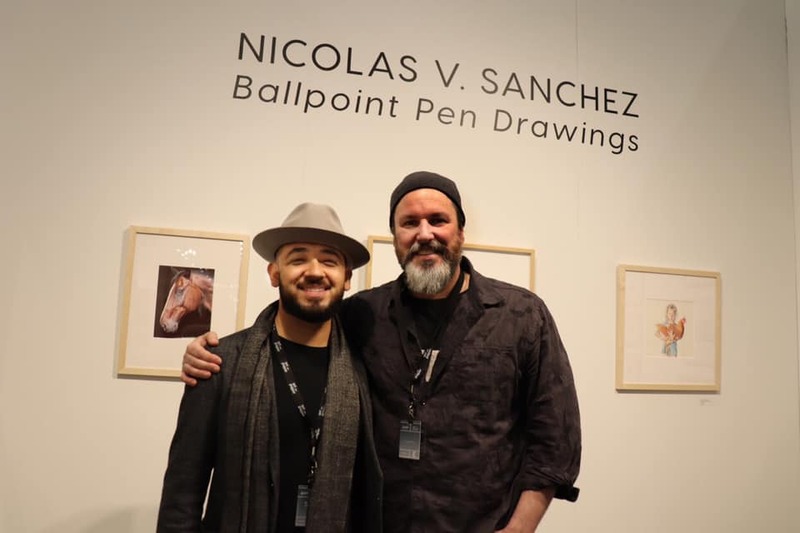 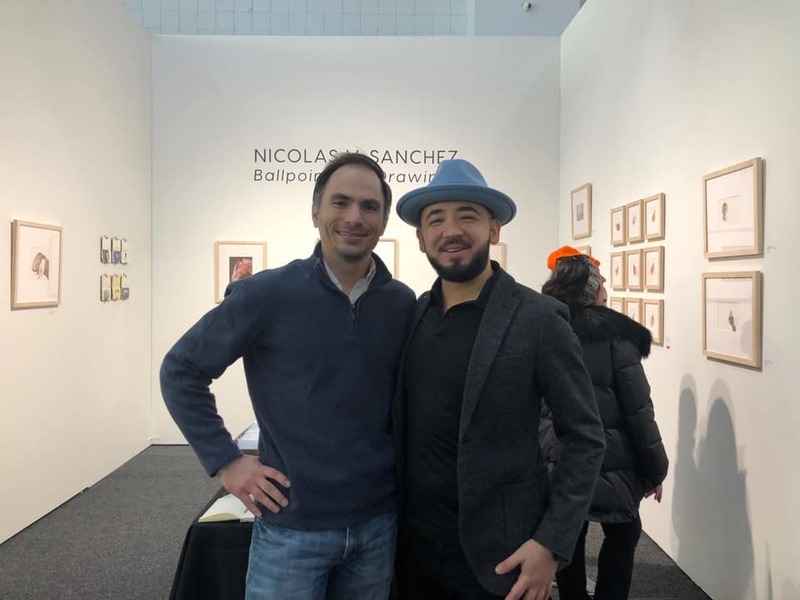 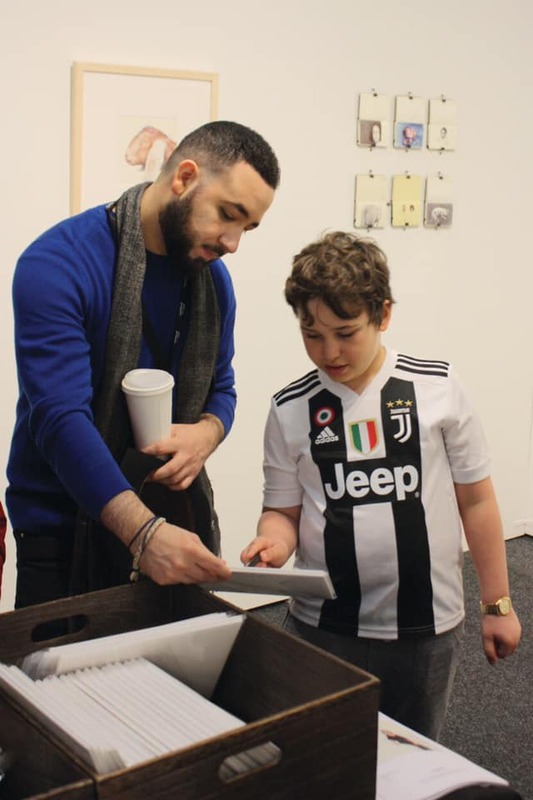 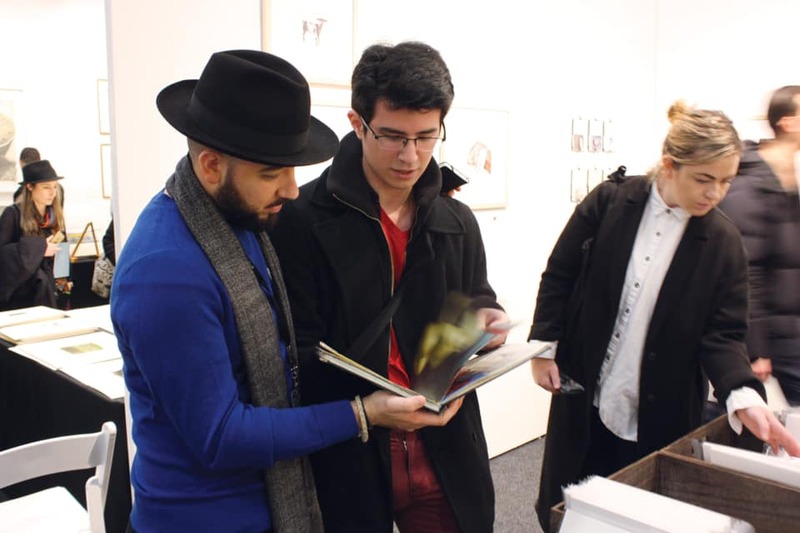 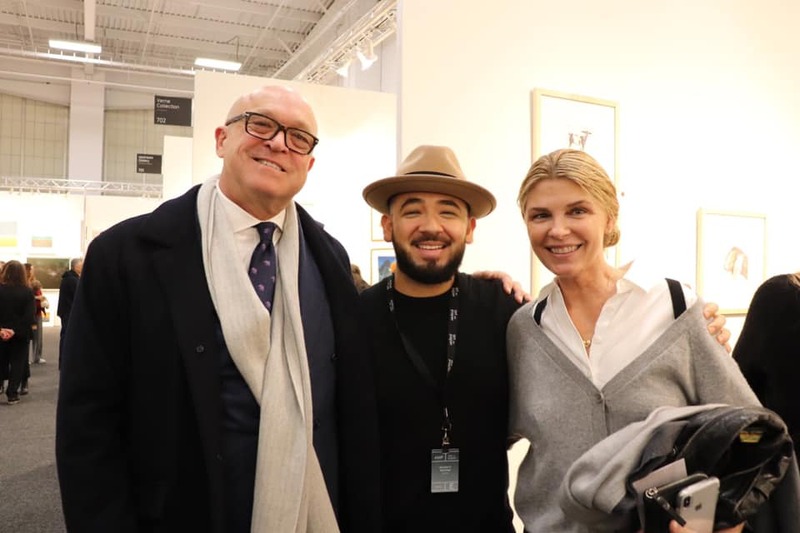 Congratulations to all of the artists and galleries who exhibited at the fair, and stay tuned for more opportunities to collect Sanchez's work.